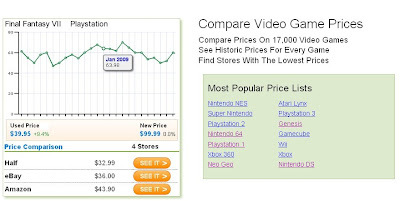 As you might be able to tell, we've changed the appearance of VideoGamePriceCharts.com. We made lots of cosmetic changes but also made the site easier to use. The systems are listed in the top menu and are sorted by company; Nintendo, Sega, Atari, Playstation, and other. To choose the system you want hover over the company, then choose the system from the drop-down menu. The systems are sorted by release date for the most part. Moving the menu to the top also frees up more horizontal space on the site so we can add more content to each page. The search box is much bigger now so you have more room to type. We moved the search box to the top of the page so it fits general website layout standards. 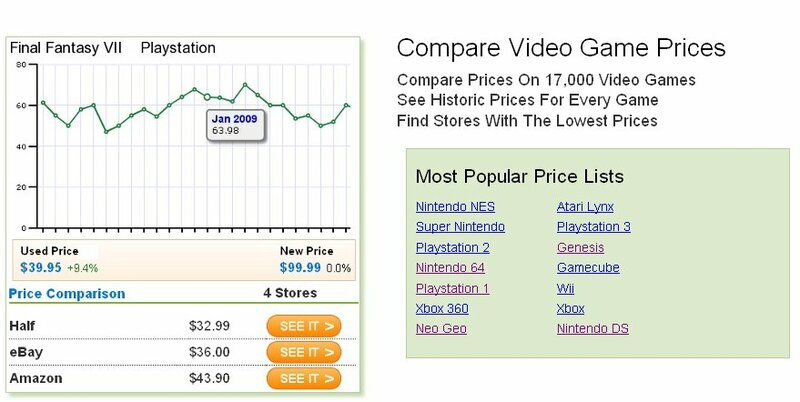 The home page has been simplified to make it easier to find the information you're looking for and explain VideoGamePriceCharts better for new visitors. There are fewer images and less clutter filling up the page. Moving the menu to the top gives the blog more space too so the articles and blog navigation aren't crammed together as much. Let us know what you think about the new design. I kind of liked the cluttered look. Wow! This looks great! Nice job JJ! The other look was much better. I had to reset everything on my browser to even see it. And what is this charging for current prices? Is that the best idea you can come up with for monetizing? Seriously, you had a good thing. I wouldn't have even minded some ads, but this is now more complicated than just looking up the price on the various sites. Historical prices are good, but only good for a few people. Todays price is a click away by typing the name in the search box on Firefox and going there. To bad. My visits will drop sharply. @anonymous - We haven't changed what we actually show at all. You can still see the current prices on the site just as we did before. All the changes we made are just cosmetic.